Happy Friday! Sometimes you need a little motivation to get you back into schedules and school. 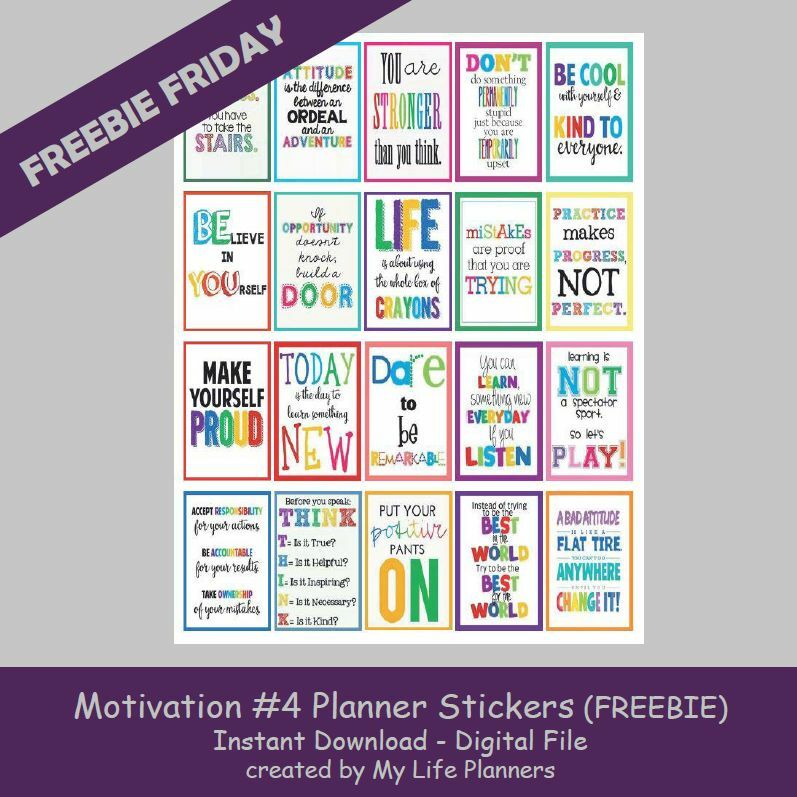 This week’s feature for Freebie Friday is colorful and bright Motivation Planner Stickers. These can be used to decorate your planner or to include in your child’s lunch and give them some positive reinforcement to get them through the school day.